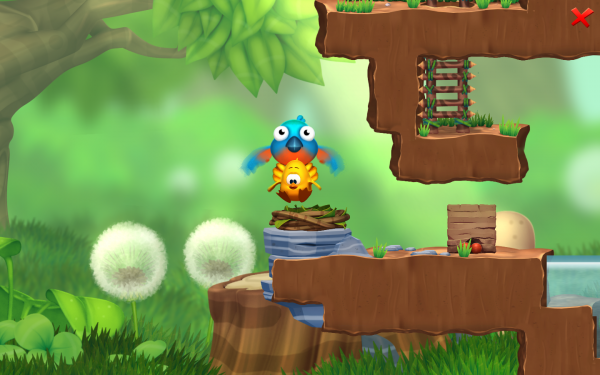 If Toki Tori 2 wasn’t confirmed for the Wii U before, it is “definitely” confirmed for the platform now, in the words of Two Tribes’s creative director Collin van Ginkel. And while the launch date of the Wii U itself is still unknown to the public, Two Tribes are telling us Toki Tori 2 will either be there for it or come “really quickly” afterwards. [We’re] pretty sure that it’s going to happen really quickly after launch. Maybe at launch but we don’t know, depends on Nintendo plans. The original Toki Tori was quite well received by critics, so having a well-crafted sequel right out of the gate can only help the Wii U gain traction, especially since Nintendo have a lot to prove with the console’s digital distribution mechanisms.